Within Teamwork Projects, you can manage existing files and attach new files to your task cards in board view. Click the card you want to add a file to to open the task details quick view, where you will see a Files section. If no files are currently attached, there will be an option to attach files to the task. In the attach files modal, you will have the option to add new files or select from existing files on the project. If the task does already have files attached, they will be listed in the quick view, with an option to manage task attachments. You will have full file editing options here for your attachments like you would in the project's files area, such as download, version uploads, deletion and sharing. When you select the manage attachments option, the attach files modal will list the existing files with an option to unlink them from the task as well as the option to add new files. 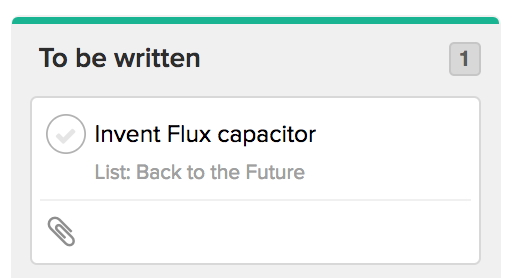 Once files have been attached to the task, you will see a paperclip icon on the card to note that files are attached to the task. 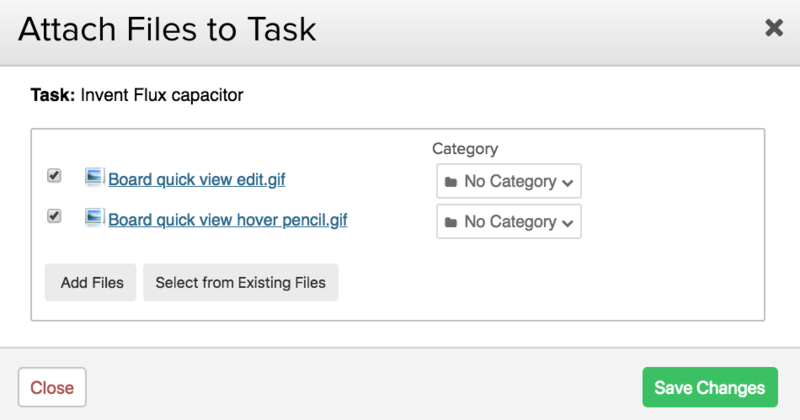 You can also add files to the task by clicking edit on the task itself in the quick view. Note: Files cannot be attached to a card via the edit pencil on the card itself. It has to be done via the task details quick view.